New music service MixRadio has been pretty popular among Android and iOS users. MixRadio which is basically improved version of Nokia Music is pretty good at what it does making it one of the most popular app for android users! MixRadio, as the name implies, a radio focused service that serves up music suggestions based on your chosen parameters. Favorite artists, genres, or even just using some of the curated mixes, MixRadio usually comes up with tunes you want to hear. It moved to Microsoft with the parts of Nokia that were acquired but has since been sold on to the messaging service, Line. Having been a staple on Windows Phone for some time now the popular music service, MixRadio, is entering into a state of transition as it goes from being a Microsoft property to one owned by Line. 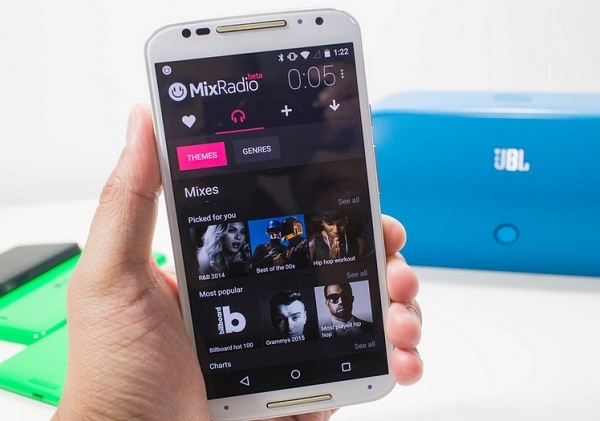 Earlier it was found out that there is a private beta of the service out there in testing for Android as well as iOS which could be the threat to MixRadio’s popularity. But after MWC, it was confirmed that the MixRadio service will remain on Windows Phone, with development continuing into the future. MixRadio has a strong following on the platform, and some may have questions over its future given the transition of the company from Microsoft ownership to Line. But MixRadio’s Speaker Dean Pattrick (@deano_42 as you may recognize him) has confirmed that the company is being left to continue its good work as a separate entity to Line. And with that it will continue to be pre-loaded on future Lumia devices as well as there being a universal Windows app on the roadmap. The iOS and Android versions are right now it’s in a private testing phase and clearly it’s not expected to be released any time soon. But Windows Phone certainly isn’t going to be left out and its app is expected to have an update sometime in the summer with some great new features. What comes of it we’ll have to wait and see? MixRadio does what it sets out to do and does it well. We’re looking forward to seeing what it might be able to do on our Android devices. there is major role in this mobile world occupied by the companies of Microsoft and android in software section. the best more favorite software like this mix radio beta and all also they must to create more more software to people. this is ever time healthy competition.